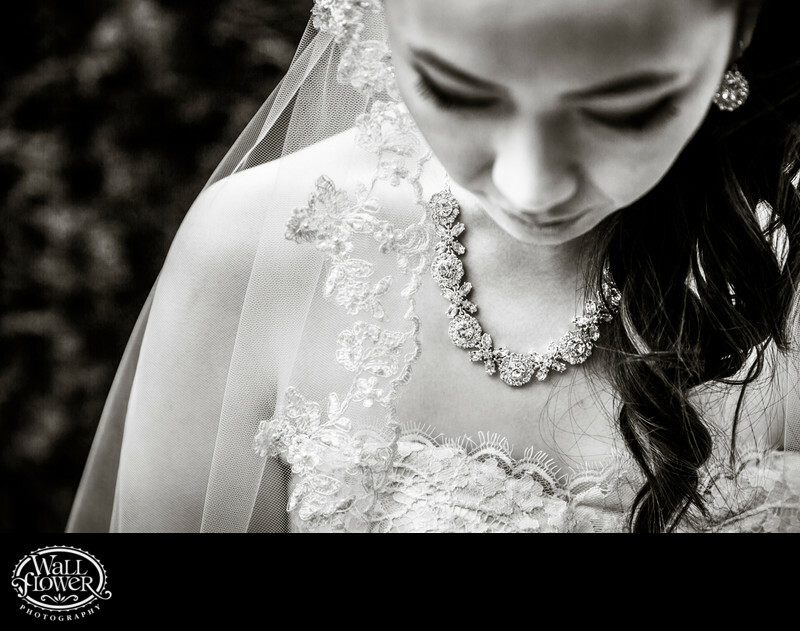 A simple, beautiful photo of the bride's necklace, the top fringe of her wedding dress, and the lace detail in her veil in sharp detail, with her downcast face in soft focus. The black and white effect keeps attention on the details instead of the colors, which were less important to this image, and gives it a classic appeal. This bride was photographed on the property of the Hollywood Schoolhouse in Woodinville, Washington, where she got married.